An Office 365 FAQ list. 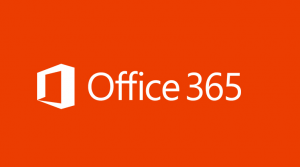 Office 365 is a simple subscription plan for Microsoft Office and associated technologies previously only accessible to large enterprise businesses. Microsoft have enabled all the back end servers and services fronted by Microsoft Office. Delivering applications which are included in other purchase methods however not used due to cost of installing, licencing and maintaining back end servers. Q. Who is Office 365 for? Q. Do I have to stop using my currently licencing to use Office 365? A. No. You can use both and migrate as you replace PCs/Mac. Q. Office 365 is a Cloud service? Q. What if my Internet stops working. Will it also stop? A. No. Microsoft Office installed on your machine will still continue to work. Q. Will my email be lost if my Internet stops working? A. No. This is stored on servers at Microsoft waiting until you connect again. Q. How many users does Office 365 support? A. Business plans are best suited to companies with 1 through 300 users. Enterprise plans are considered as unlimited – 50,000 plus users. Q. I have a desktop PC, a Laptop and a Mac at home. Is that 3 licences? A. No. One Office 365 seat enables you to install and use the services on 5 PC/Mac systems and 5 Mobile devices. That is 10 devices/systems in total. Q. What if I am away from the office and need to access the service? A. Log into your web portal and use the Web Applications in a browser. Q. If I use a strange PC will it retain my data? A. No. All applications and data are viewed and edited in a browser. Nothing is saved locally. Q. Do I need t backup my data? A. Definitely YES. More information here. Q. Can I mix and match plans? A. Yes. Maximum user limits must be considered when choosing from different plans. Q. Will it be completely different to what I am using now? A. If you have been using Office 2007 or above it looks the same, previous versions will differ. Q. If I move everyone to Office 365 what do I do with my current licences? A. Speak to us. There may be a resale value through legitimate channels. Q. How long does it take to add new people? A. New seats may be added in 10 – 15 minutes. Q. Can I reduce my seat count? A. Yes. An initial 12 month term needs to have expired on new tenancies before seats may be reduced. Q. Is it possible to have a trial? A. Yes. A trial may be setup and lasts for 30 days. Q. How do I start a trial? A. Call us on 01480 414143 and we will help or complete the form below. Q. If I subscribe and do not like it may I cancel. A. Yes. There may be penalties if you are in contract. Q. I paid 12 months up front. Is there a refund? Q. Is there volume discount? A. Yes. Enterprise seats must be specified and available for 250+ users. Q. Do Charities receive a discount? A. Yes. In some cases a full donation is provided by Microsoft providing it FREE. Our Office 365 FAQ not answered you questions? Leave your details below with a brief outline of your requirements and we will contact you. We use your contact details only as a single lead. Your details are not added to a database or mail engine for further contact.